Eyki Overfly, a new generation of chineese affordables? Thread: Eyki Overfly, a new generation of chineese affordables? Hi guys, I've caught a glimpse of this new watch brand while we were discussing the field watches and went throu with a couple of them. Got mine from ali for 15$ a piece. I'we expected the blue dial one to be more impressive in person and ditch the military one. Ended up wearing the military the same day. I was quite impressed with the quality of packaging provided by the seller. The watches arrived individually wrapped in a double carton boxes with a pillow. I didn't take pictures, but that's the exact box. It also had tags and an extra battery. Lets talk about the watches individually. The first one I've ordered was the green field military. I wanted the green instead of the other colors, since that truly represents the colors of the field watch. I then learned by reading the military specs that the dial should be black. Well TIL and an excuse to buy the black one . When I opened it, I was quite impressed by the contrast of forest green dial and deep white arrows and numbers. I was scared the green would be too dark to my taste but It ended up ok. The strap is surprisingly of decent quality, especially the buckle. The under layering is of leather which makes it quire soft. The case is finished in satin metal (I expect it to be an aloy, it's too light for SS). My biggest complain is the crystal, it is the domed milky mineral crystal you find on most budget Chinese watches. It is impossible to read from the side. I have removed the original strap for a nice nato. The other watch was what I expected to be a Explorer type watch. 12-3-6-9 dial type, date and a easy to read. 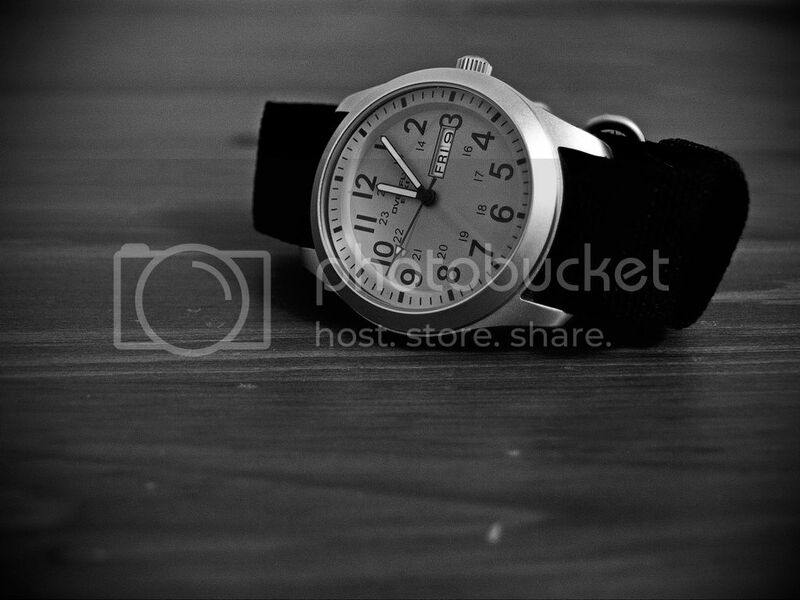 Something that would fit nice on a colorful nato to wear as a weekender. I was expecting to love this watch, but I was actually disappointing. I love the font used,and the idea of having raised indices, but those are made out of flat chrome, they tarnish under some light, are really distracting to read and just look off. The dial has 3 layers. Inside dial, inside bezel, applied numbers and marks on the internal bezel. It's a nice idea, but it feels way too deep and it looks like the watch should be the size of the inside dial, and they have given it some space with all the decoration around. The crystal and the band is the same as the previous watch. I have also switched it on blue-black nato, but it doesn't look as great as it should. Overall I think it's a step forward for cheap Chinese watches, they feel like watches you can wear in public and that would last for at least a couple of years. They aren't trying to imitate popular brands, instead they are trying to make their own designs. I would recommend getting the military version and expecting myself getting the black version soon. 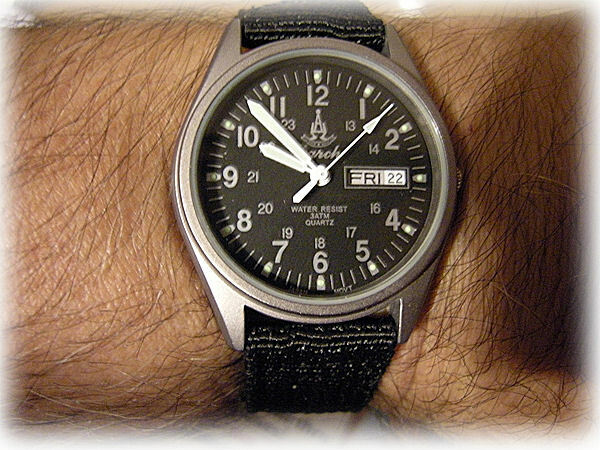 I also remember reading the military version carries a Seiko Instruments movement, which makes it even more interesting. iceman66, CCCP, Shepperdw and 3 others like this. Re: Eyki Overfly, a new generation of chineese affordables? Nice review and pics Andriy! The green one reminds me of some Seiko 5 field watches (a good thing, I think). I see what you mean about the blue one. I admire the attempt to do something more with the dial, but it's too much. I think I'd like it more if the digits weren't mounted on the chapter ring like that. It looks off, like you said. But I really like the hands. Curious why you think this is a "step forward"? There are a lot of nice Chinese watches of really high quality, like the ones from BWAF, Shanghai and Segull, even a Parnis can be a nice enough watch considering the price...did you just mean these are a step forward at the very low end of the price range? - They provide a quality product in a low price range. When i first joined WUS, we had the same idea in darch field quartz. We've run the supplies dry very fast and since I haven't seen anything either original or quality made. - They are creating/expanding designs which is a fresh breath in the chineese watch segment, specially in the cheap budget. Parnis - I haven't seen a original design from them ever. Beijing - I have ginormous respect for them, creating new designs, exploring new directions (ceramic dials) and even trying high end watches and movements. Sea-gull/Shanghai, they are great overall, but they were established players in the industry since the Russians brought the equipment to China. They are quite stagnant. They have copied all available movements, but haven't created any of their own. They follow the same direction with automatic/mech classics. They could have taken a big piece of the pie with manual/auto chronos or developing sport lines in their collections, but I think they are happy where they are. As does mine, in a slightly artsy fashion. I really do like the field watch, it does tick a lot of boxes for me - curved crystal, big numbers, red tipped arrow hand, date (day I could take or leave) and brushed case. The fact that it has a good movement and came fully packaged were great bonuses. I didn't get the spare battery, but oh well. Last edited by jekostas; March 29th, 2013 at 09:27. 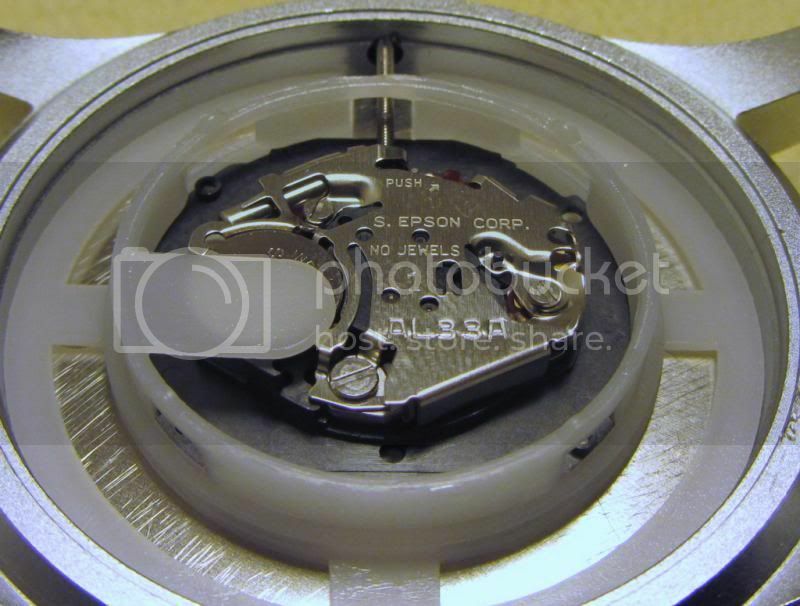 ^^^ Yup, it's a Seiko Epson movement. The name sounds really stupid, but the watches are kind of decent. Thanks for the pics. ...I thought I would never say this: but these two models look good. any info? "your grail shall be bashed"